Create Cool Projects with Arduino and Electronics! Congratulations! You are the proud owner of the Ultimate Arduino Microcontroller Pack. But now what? In this webcast, we will highlight several Arduino projects you can create using this kit and learn about electronics while building fun devices. The projects are examples from the book Make: Basic Arduino Projects. 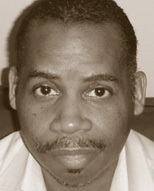 Don Wilcher is a passionate teacher of electronics technology and an electrical engineer with 26 years of experience. He's worked on industrial robotic systems, automotive electronic modules, systems, and embedded wireless controls for small consumer appliances. While at Chrysler Corporation, Don developed a weekend enrichment pre-engineering program for inner city kids. He is the former Department Chair for the School of Electronics Technology of ITT Technical Institute at the Madison, AL campus. Don is now an Electronics and Robotics Instructor at Lawrence County Center of Technology.